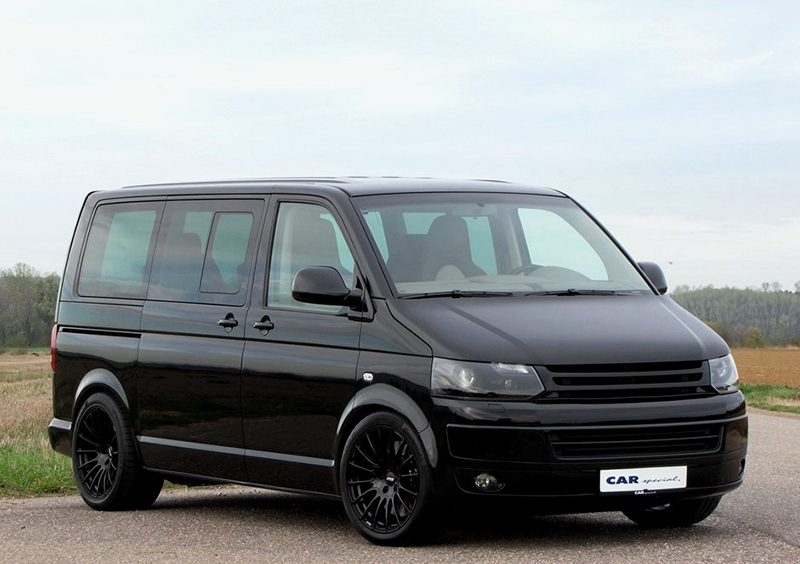 With 580 horsepower and a row-your-own gearbox, this uber-van is the perfect family car for the Porsche-crazed dad. Just because you've had a family doesn't mean it's time to give up that dream of owning a Porsche. 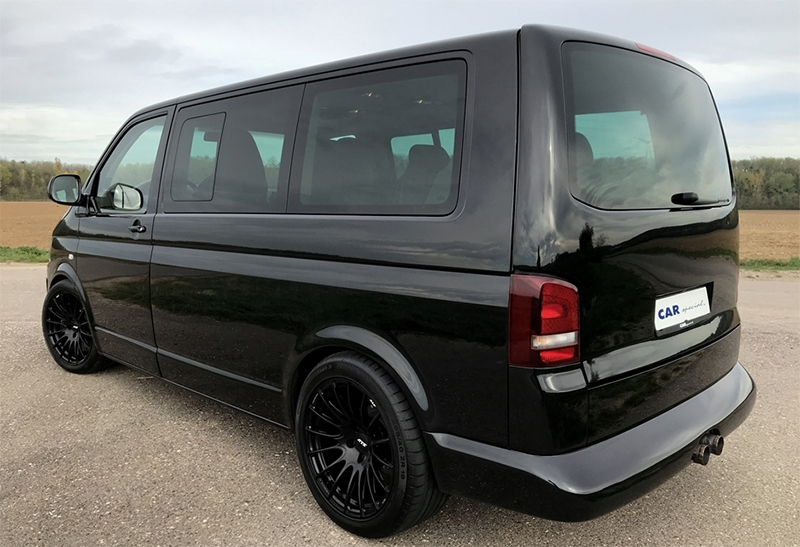 The world's coolest people-carrier, which happens to be this Volkswagen Transporter Multivan, is here to help with a plethora of Porsche go-fast bits pre-installed. For the right price, this particular piece of German engineering can be yours to take home. The van was built by a company called TH Automobile. 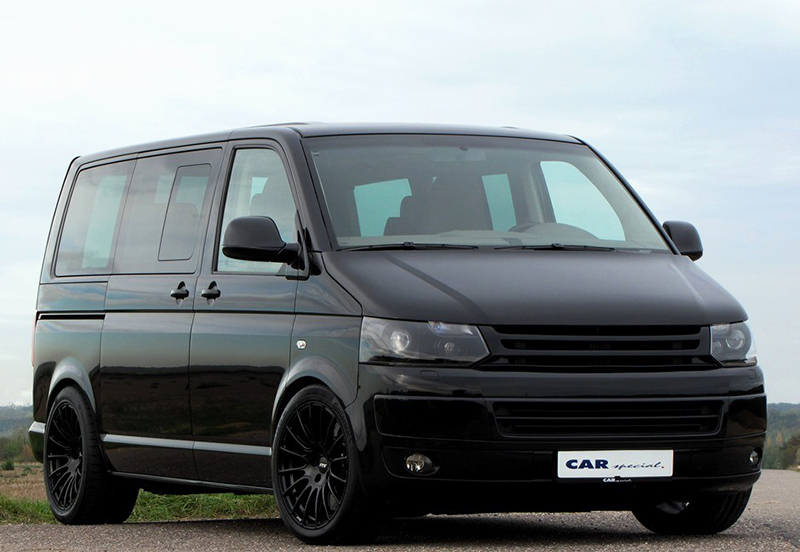 Located in Berlin, Germany, the aftermarket shop is a coachbuilding company that specializes specifically in Volkswagen T5 Multivans, converting them into bespoke masterpieces based on the inner workings of the Porsche 996 and 997. This particular model is the company's "TH2.997" trim-level, which, if you couldn't tell by the name, has the 3.6-liter flat-six engine from a 997 Porsche 911 Turbo stuffed in the boot. 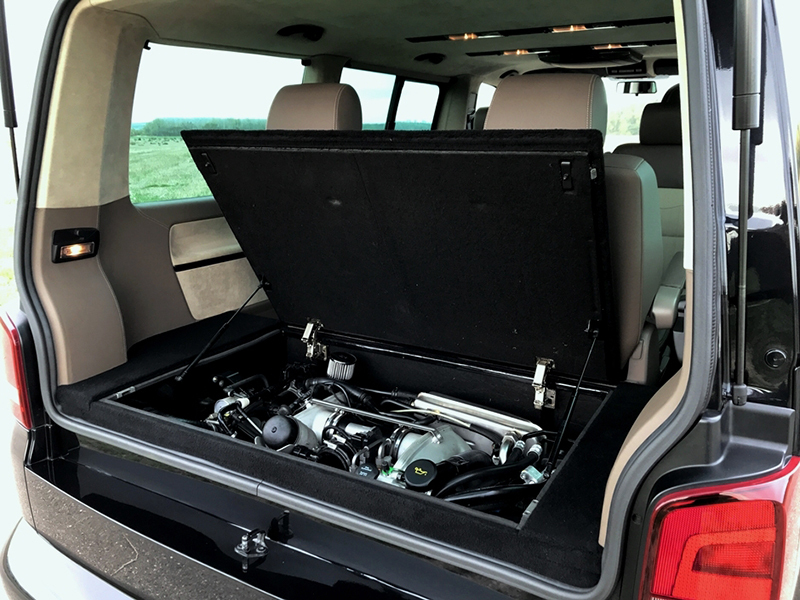 Standard, the van comes with 480 horsepower and is built on the highest level trim package Multivan, but TH says that it can customize the vehicle and deliver a custom solution that produces up to 800 horsepower and 458 pound-feet of torque. Fortunately, this van has already had some go-fast upgrades installed. TH stuffed two Porsche 911 GT2 turbos into the T5, giving the Transporter a respectable 580 ponies on tap. If the power wasn't enough to convince your spouse that this van is the right mom/dadmobile for you, maybe the manual gearbox is. 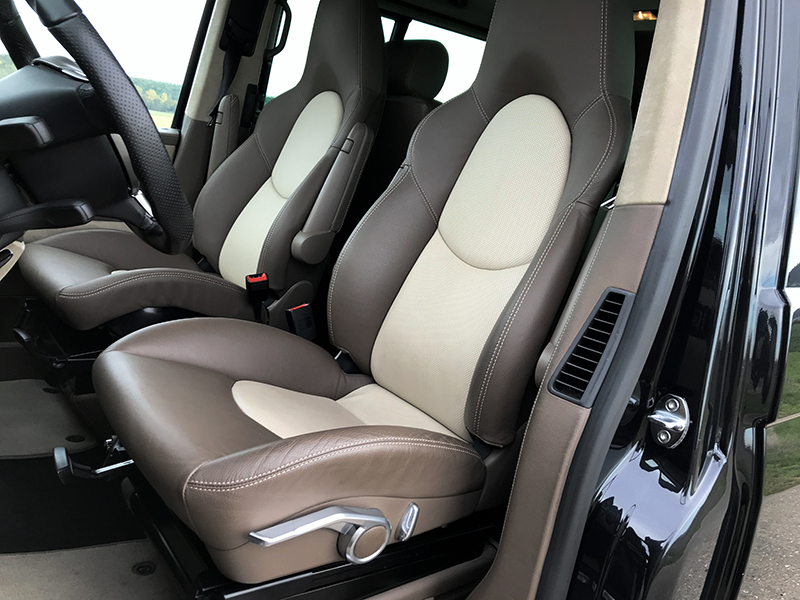 This TH2 is rear-wheel-drive only, but TH notes that it can build its vans in an all-wheel-drive configuration if purchased brand new, though they likely don't retain the same driving characteristics of either the T5 or the 911. 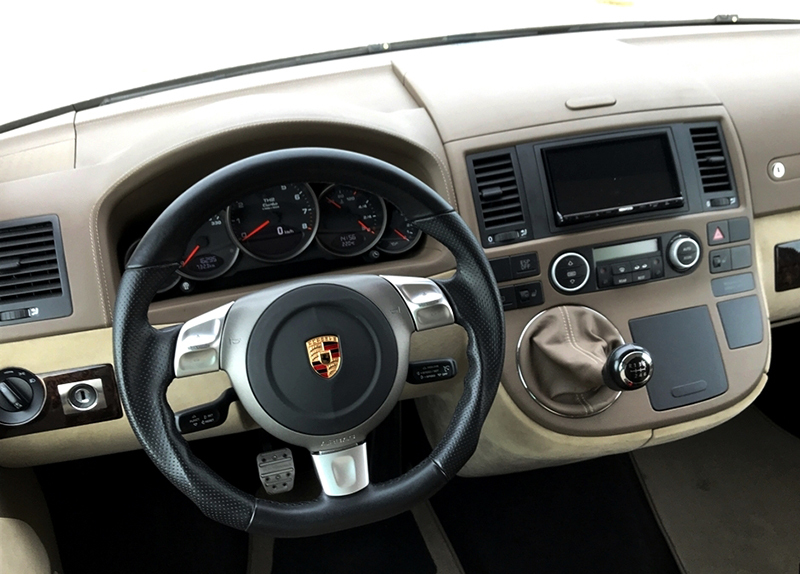 Other various bits in the interior scream high-end, including the stitched brown leather that matches the seats plucked from a 911 and the steering wheel from a donor car to pull it all together. 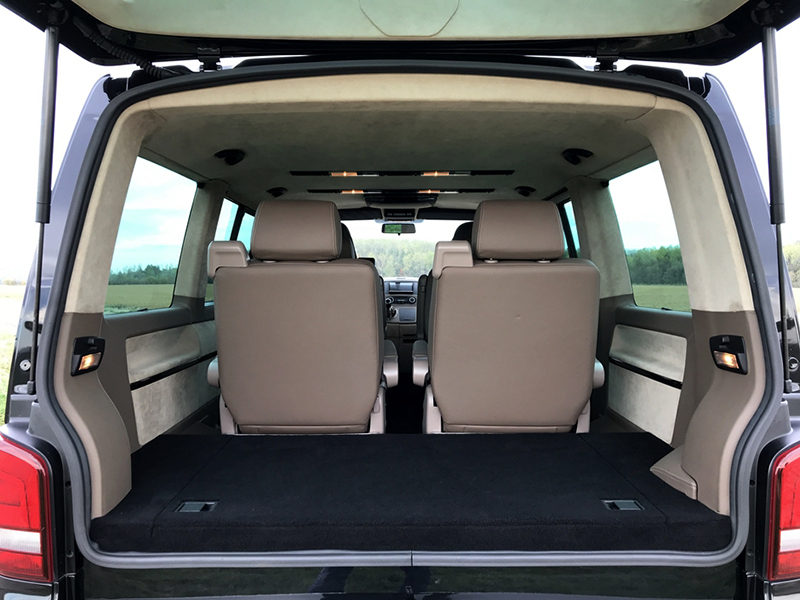 The dealer claims that the TH2 cost more than $284,166 (250,000 Euros) to build, a staggering realization of overspending considering the base-level T5 Multivan costs around $27,000 and the 977 911 Turbo began life at $133,000. Still have your attention? Good, because you'll just need to fork up around $159,000 (139,800 EUR) in order to drive it home. Importing it to the States becomes an entirely different story of costs and hoops, including the unlikelihood of being able to legally register the van for use on the road. But at least you'd be the coolest dad at the drag strip.